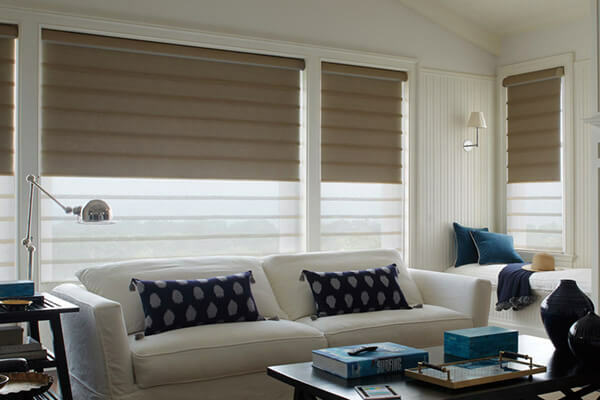 Custom Shutters by Doyle is your one-stop shop for modern roman shades in Kansas City and Overland Park. 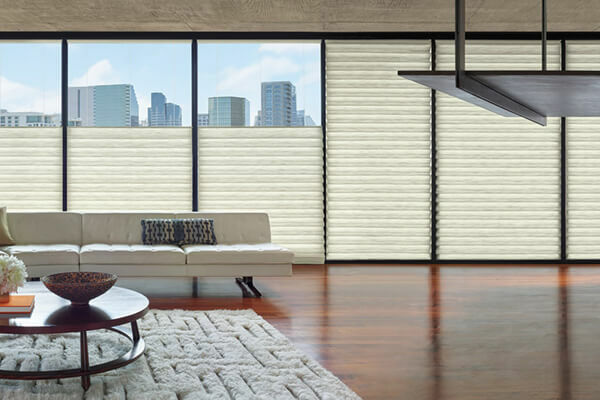 Add a crisp, clean aesthetic to your home's interior by installing modern roman shades from Hunter Douglas on your windows. 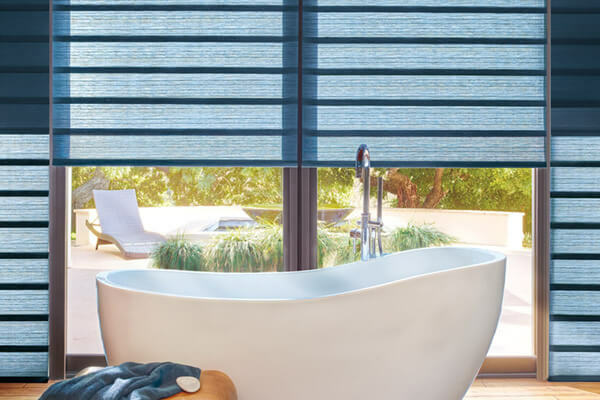 With soft folds, multiple opacity combinations, and several luxurious fabrics to choose from, the Vignette® collection serves as a stunning alternative to the traditional roman shade. Their beauty can be conveyed through two practical styles, including the Rolling Style, which rolls up into the headrail, or the Stacking Style, which stacks neatly beneath a low-profile headrail.